Do not abandon yourselves to despair. We are a Resurrection people and hallelujah is our song. One of the hardest parts about miscarriage is that for most OB/GYNs you have to have three before they start looking into underlying medical issues. I have had issues my entire reproductive life, but none that would have been really obvious. I had just accepted that periods of severe PMS were just a part of me and I knew that most doctors would just throw the Pill at me, which I was not interested in. So after my miscarriage in February, the doctor finally started testing me for autoimmune, clotting, and a whole host of other disorders, which, not surprisingly, came back normal. He then said he could do a month long hormone panel and then give me fertility drugs if needed. I just did not see how that helped and we were moving anyway, so I was going to have to switch OB/GYNs. Then came Dr. Karen Poehailos. After this most recent loss, I really was starting to doubt that I would have anymore children. First, because I had lost three and second, boughts of debilitating post-partum depression and anxiety were a major strain on my family. I am really sensitive to hormone shifts. I was an emotional mess while I nursed my daughter. I lasted 14 months and then said, I have got to stop for my own sanity’s sake. Quite honestly, I had almost given up hope that I would have another child and that I would spend my life on Prozac, even though I knew that there had to be something hormonally wrong with me. My husband can see it throughout the month. Karen came up to me at my first Lay Dominican meeting. She is a Family Practice doctor who is certified in Natural Procreative Technology (NaPro) and Creighton Method Fertility Care. There are tons of resources on the Pope Paul VI Institute website, including where certified doctors are located by state. 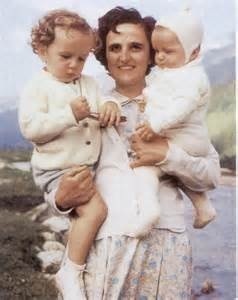 She told me that she could help me and she offered to let me pray in front of her second degree relic of St. Gianna Molla. Meeting Karen was my first ray of hope. I had no idea that there were options out there, let alone options that were in line with Catholic Church teaching. I figured it was birth control, which is not really an option, or artificial treatments, some of which are morally acceptable and others that are not. I felt boxed in and I felt like my OB/GYN was never going to be able to tell me what was wrong. He was more interested in a band-aid. Don’t get me wrong, he did great work with Michaela. I had to have an unplanned c-section when she turned transverse and he is considered the best c-section doctor in the area. He just was not giving me any hope. Karen got me in touch with the Charlottesville Fertility Care Center Creighton Method Natural Family Planning instructors. 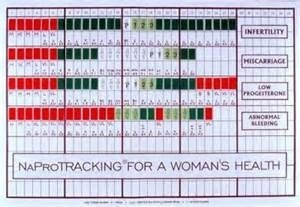 In order to decipher what is going on with my body, I had to learn how to chart using the Creighton Method. This method of NFP focuses solely on mucus observations. It is not the Rhythm Method. I cannot stress this enough. It is based on sound science and is more effective than any hormonal or barrier method of contraception out there when wanting to avoid pregnancy. By monitoring my cycle through cervical mucus observations, we were able to see the areas where my cycle is not entirely normal. My instructor, who is awesome, taught me how to chart over Skype. This is a great option when instructors are not in the area. We discovered that my cycle has shifted by 2 full days since my last miscarriage. After 2 months of charting, I then had my initial appointment with Karen at her office. She checked my chart and told me she suspected a progesterone deficiency at the very least. I then had to do my month of blood draws. She drew estrogen levels, progesterone levels, and tested my thyroid function (more thorough than what your normal doctor will order). After completing the blood work, we would have a clearer picture of what is going on. Earlier this week my husband, daughter, and I went back to her office, which is 2.25 hours from us. (It is worth the drive!) She showed me my results. I expected there to be issues, but I was rather amazed by what she told me and showed me. I have significant estrogen AND progesterone deficiencies. My body is always running on low. She then showed me that my thyroid is slightly sluggish. The thyroid function is not slow enough to put me on a thyroid protocol at this point in my life. The hormone deficiencies, however, clearly showed why I have lost so many babies and why I have such severe mood shifts throughout the month. In some ways it is a wonder that I have been able to get pregnant so easily, considering my estrogen levels. So, now we had the answers. What were my options? Karen said that she wanted to start me on an HCG injection regimen the second half of my cycle to see if it will lift my levels. If not, we will have to look at other options, like fertility drugs. Once a pregnancy is achieved, I would need HCG and progesterone injections. She also told me that natural progesterone is used to treat post-partum depression, so we have options, given my history. She also feels that the HCG will help improve my anxiety and depression that seems to worsen in the second half of my cycle. I have struggled with some of these things for 20 years and never realized that I had hormone deficiencies. This is not something that psychiatrists or OB/GYNs are really looking for in treating women with my symptoms. The standard is to throw the Pill at me and say it will even out my issues and when I want kids to just take fertility drugs. Ha! I left her office feeling hopeful. I actually rejoiced and was relieved to find this out. Why? Because I finally had answers. Sure, no one wants to have medical issues, but this was way better news than her telling me, “We still don’t know what is wrong.” I called one of my closest friends who was an OB/GYN nurse for years, and she was as excited as I was. She was relieved that we had found the answer. She said my ovaries are lazy and my thyroid is sluggish. I thought it was pretty funny. She had said to me before my last blood draw that I had better have a progesterone deficiency after all of this. I have multiple deficiencies! My husband and I turned and looked at our daughter. We both realized even more what a gift and wonder she truly is for us. After all, she is the only one who has made it and she is a miracle in our minds. What a gift she is!!! Doctors like Karen are springing up all over the country. While this technology is sponsored and researched by a Catholic institute, it is not reserved only for Catholics. The point of this method is to help couples find natural solutions to medical issues and infertility. They use different techniques to treat: infertility, PCOS, post-partum depression, PMS, etc. The aim is to treat the whole human person. 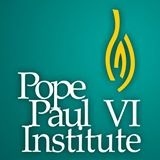 If you have been struggling with miscarriage, infertility, or other Gynecological problems, then check out the Pope Paul VI Institute’s website. There is hope and there are options. If you live in Virginia, we have two physicians in the Richmond Diocese: Dr. Karen Poehailos in Charlottesville and Dr. Hemphill in Richmond (she is an OB/GYN). Miscarriage is deeply painful. The grief and pain come in waves. There are periods of despair and loneliness. Mine are not over, but I have found hope. Even if we do not have any more children for whatever reason God deigns, at least I was able to figure out what is going on with my body. I can hug and kiss my daughter in deep gratitude and I can continue to pray for people like you who know what it is to suffer such terrible anguish. I hope this series has helped you. I am sure I will write about miscarriage again. It is a process that I am in the middle of right now. I will continue to write about my experiences with NaPro as I begin my hormone treatments. May God bless you always. I follow the Napro tag on wordpress and its posts like yours that make my heart happy. I’m only 23, soon to be married with no children. I know exactly the relief and happiness and hope that comes when a doctor, who is looking at your whole human person, explains that you have a hormone problem. After a months of NFP follow ups, a dozen blood draws on peak+7.. or 3,5,7,9,11, you know- oral progesterone, vaginal progesterone- and now HCG I have to tell you its a road. But there is still so much more hope than being stuck on an anti-depression with-out any other answers when there are still so many questions. I’m so sorry that your cross of sub-fertility and miscarriages is so heavy, but know that your posts help me (even though I’m not trying to conceive yet) and others carry our hormone-imbalanced crosses.